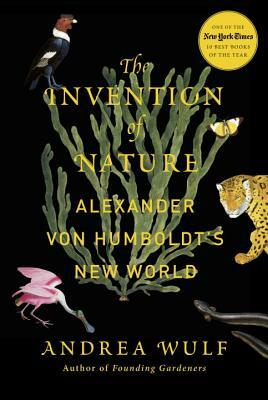 The Invention of Nature: Alexander von Humboldt's New World (Hardcover) | Eagle Harbor Book Co.
One visionary German naturalist traveled the world in the early 1800s, and single-handedly reshaped our relationship to the natural world, influencing science and even today’s environmental movement. This fabulous read takes you on Alexander von Humboldt’s journey, sharing meals with Goethe or slogging through the perilous jungles of South America, with jaguars, snakes, strange blossoms, and fantastic fruit. Wonderful armchair travel, and delightful true story-telling!